For an industry that places a premium on data security and increasingly values mobility, healthcare has much to like about virtual desktop infrastructure (VDI). Why then isn’t VDI more widespread among health systems and hospitals? The healthcare industry is slow to adopt cutting-edge information technology, mainly based on concerns about health data security and privacy. 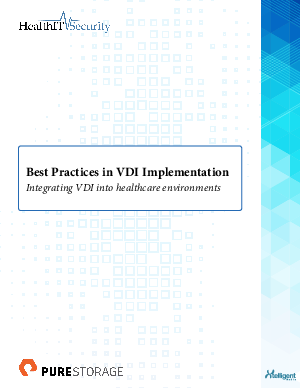 This guide provides insight into the various benefits and challenges associated with VDI implementation and ultimately culminates in an overview of the many use cases for VDI in healthcare. VDI is not the solution for all practices, but for many it is enabling higher efficiency and faster innovation.